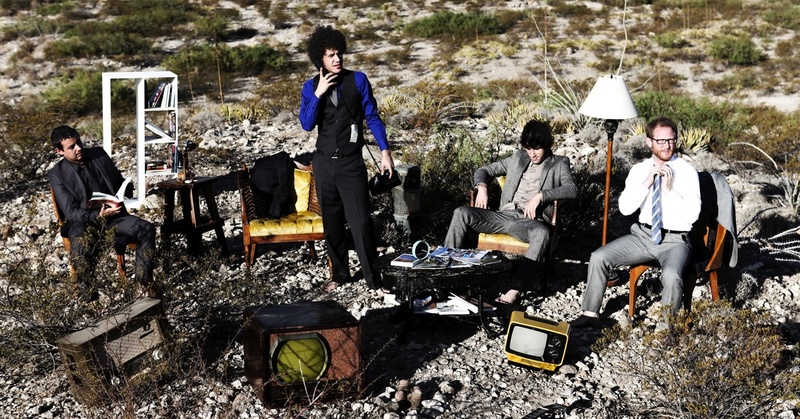 stint as main support for At The Drive-In's reunion tour, Zechs Marquise joins ASIWYFA on June 30th to kick off the extensive tour in Anaheim, CA. Please see complete dates below. Consequence of Sound recently premiered the video for "Everlasting Beacon of Light" -- a standout track from the band's latest album, Getting Paid -- featuring surprise cameos, some very intense and very real gangster dudes, animal-headed people in the desert and much more awesome weirdness. Directed by The 90s. Watch the VIDEO HERE. Zechs Marquise also recently posted a live in-studio video session for Terroreyes.tv performing the title track to the album. Watch it on Vimeo or YouTube. RCRD LBL recently premiered an MP3 for album track "Mega Slap". Check out the MP3 HERE. Stream full album HERE. toured extensively throughout the U.S., proving to be a formidable live act supporting Omar Rodriguez Lopez Group and At The Drive-In as well as leading their own headlining tours. Zechs Marquise have also grown considerably in other ways. Recent addition Rikardo Rodriguez-Lopez on keyboards and trumpet joins his brothers, drummer Marcel and bassist Marfred alongside guitarists Matthew Wilkson and Marcos Smith contributing to the band's expanded sound. Not only have they reached new plateaus of entrancing riffs and rhythms, but Getting Paid also integrates vocals on select songs, including guest performances by vocalist/guitarist Matthew Embree and El Paso singer Sonny Baker. 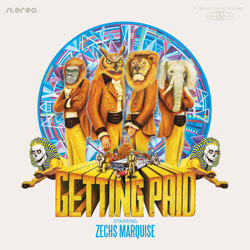 Getting Paid was released on LP/CD/Download on September 27th on Rodriguez Lopez Productions via Sargent House. Belfast, Northern Ireland's celebrated instrumental band And So I Watch You From Afar announce extensive North American tour dates this summer paired up with several other Sargent House family bands. ASIWYFA kicks off the tour in Canada with Russian Circles and Indian Handcrafts (including Sled Island festival), then later joined by Deafheaven on the west coast, ending in Los Angeles at the El Rey at the big Sargent House/1656 Music show with Chelsea Wolfe also playing. 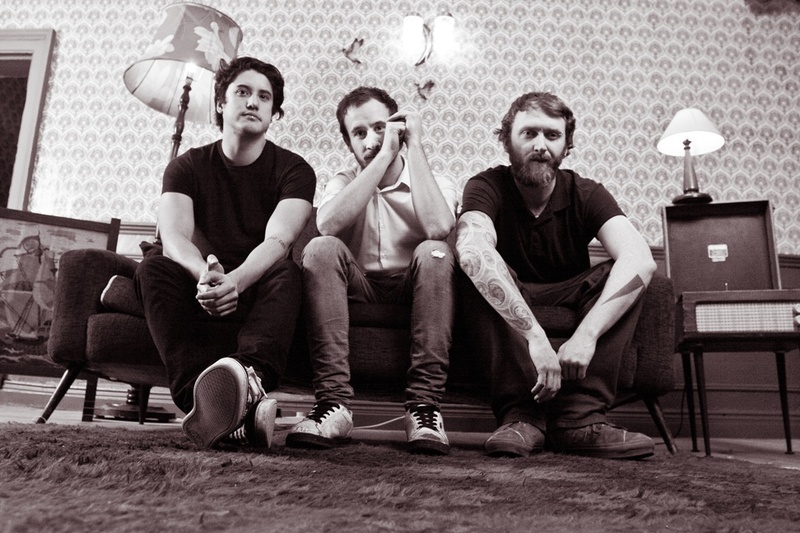 In July, ASIWYFA pair up with Zechs Marquise for co-headlining dates throughout North America. Please see complete dates below. 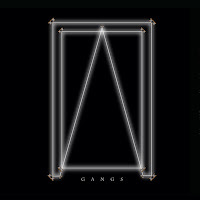 ASIWYFA released their sophomore album, Gangs last November via Sargent House. The complete album is available for streaming via Bandcamp HERE. A pair of MP3s from Gangs are also available: opener, "BEAUTIFULUNIVERSEMASTERCHAMPION" for download HERE and the brilliantly titled "Search:Party:Animal" can be intercepted HERE. Both tracks are cleared for posting. Known for their unrelenting tours that has seen them play over 300 shows since the start of 2009, And So I Watch You From Afar don't know how to take a break. From appearances at SXSW, Eurosonic, Electric Picnic, Novarock, Canadian Music Fest, Popkomm, Pukkelpop, Sonisphere, to tour dates in Europe, North America, Russia and a support slot for rock supergroup Them Crooked Vultures, the band has been on the road playing music non-stop since the release of their fan-stirring debut self-titled album. In between, the band was nominated for Ireland's coveted Choice Music Prize for Album Of The Year and XFM's New Music Album Of The Year, released The Letters EP in February 2010 and a stop-gap tour single "Straight Through The Sun" in November 2010. It's a small wonder then, that the band actually managed to record their highly-charged second album Gangs at all with that punishing schedule. It was recorded on weekdays between festival appearances over the summer of 2010 during July and August at Start Together Studios in Belfast with producer Rocky O'Reilly and the help of a young technician by the name of Lee McMahon. The heart of Gangs is a section entitled Homes: "Ghost Parlor KA-6 to Samara to Belfast" which spans tracks six and seven. It's a near 10-minute epic which taps into the emotions of returning to familiar places and visiting new ones for the very first time. "It's a cheesy thought but we wanted to capture our journey through touring: seeing so many different things, unexpected happenings, sudden changes and then a homecoming," Rory explains. "The end of that tune sums up the relief and elation of coming back into Belfast and getting to see our friends and family again." It's a sentiment echoed by the title of the record - Gangs. "In the same vein, everything we've done, places we've played all, people we've met, all circulate around these pockets of people, pockets of scenes and pockets of culture. These gangs of people who emanate from everywhere. It's that DIY / The Clash / Black Flag sort of thing that our band is like a gang sometimes." Gangs is available in North America on LP, CD and Download via Sargent House as of November 8th, 2011. Zorch multi-instrumentalist Shmu posts new track and video from solo debut via Exclaim! Sam Chown, drummer/singer/multi-instrumentalist in Austin's hyper-kinetic duo Zorch premieres a new song and video from his forthcoming solo debut under the moniker Shmu today. The track, "&hearts" is posted by Canadian mega music tabloid Exclaim! and available to stream/download HERE. Shmu recently released the first album track "House of Stares" at Consequence of Sound. The sultry tune is available to stream/download HERE. "House of Stares" showcases a much more subdued and dare we say "pop" side of the musician's talents seldom heard in Zorch. Throughout, Shmu's album Discipline/Communication is a melodic exploration into combinations of pop, shoegaze, glitch, psych and experimental rock into a cohesive and original whole spread across the disc's 16-tracks. Chown wrote, produced, recorded and performed all instruments on the album. Discipline/Communication will be available June 5th on CD and download via Grand Theft Zamboni Records. 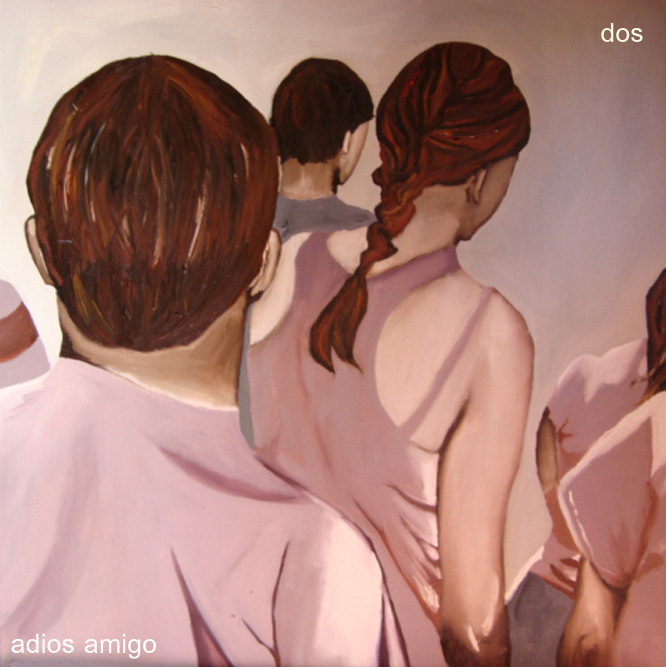 San Francisco psych-pop quartet Adios Amigo today premiere the first song from their forthcoming sophomore release via Prefix Mag. The shuffling, upbeat sweet love song "Chicken" is culled from the 5-song Dos EP and available to download/stream HERE. 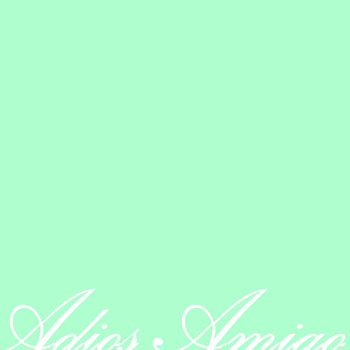 Adios Amigo also recently premiered the simultaneously happy and forlorn sounding track "Debut" (listen/download HERE) from its recently released self-titled debut via RCRD LBL. The band's two EPs are an eclectic batch of songs tied together by a pop sensibility and a calm, upbeat sentimentality. The songs are about various elements of life: love, past, present, future, and falling asleep on the couch with somebody special. There is not an unhappy note among them. Brooklyn's beloved guitar-anthem optimists Fang Island premiere the first track from their forthcoming sophomore album today at Pitchfork. The song, "Asunder" is available to stream HERE. 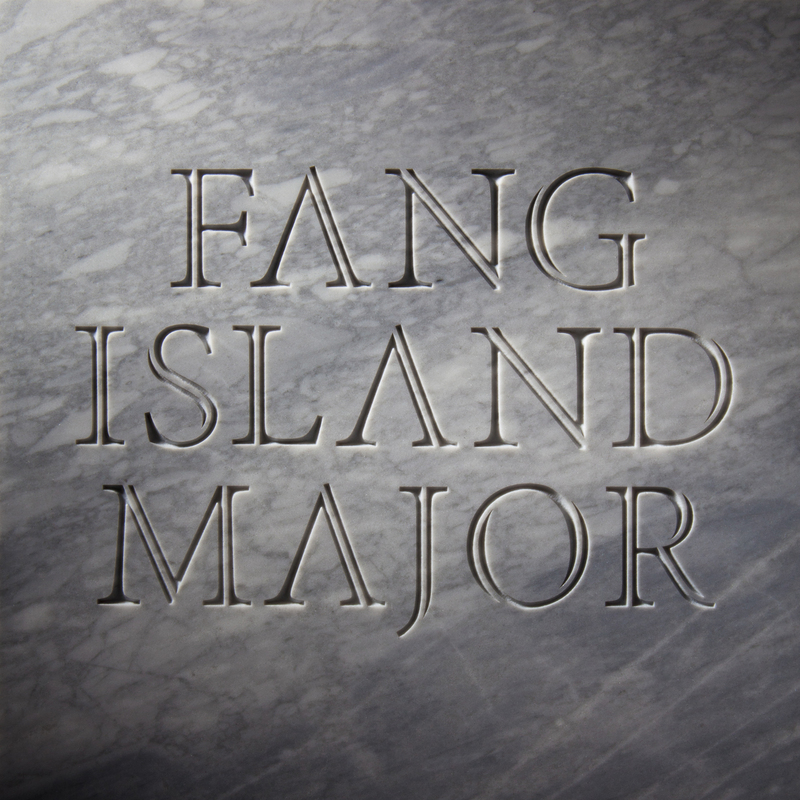 Kicking off with the overlapping neoclassical piano pirouette and chiming harmonized guitars of album opener "Kindergarten", Fang Island makes it clear from the outset that this is an album of musical and sonic growth, while at the same time a chorus of voices repeat the mantra, "all I know/ I learned in / kindergarten." It's that same unabashed embracing of childlike wonder filtered through visionary artistic sophistication that gives Fang Island its unique charm and sets the tone for this (ahem) major step forward for Bartell, guitarist/vocalist Chris Georges and drummer Marc St. Sauveur. 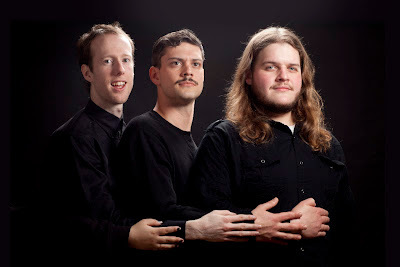 Without a moment's rest, the definitive summer pop jam "Sisterly" launches the album skyward, led by the thick hook of a wah-wah pedal "chunka-chunka-chunka" riff that's guaranteed to have listeners busting out their air guitar moves. "Never Understand" revisits the classic Fang Island guitar harmony dog pile while what sounds like a cheery mob repeatedly intones, "I hope I never understand." Elsewhere, the rollicking anthem "Asunder" quickly builds momentum like a rolling snowball that eventually careens into a summertime BBQ -- the explosive payoff as the elements collide is pure pop bliss. Baltimore duo Ed Schrader's Music Beat premiere the first video from their debut album today via SPIN.com. 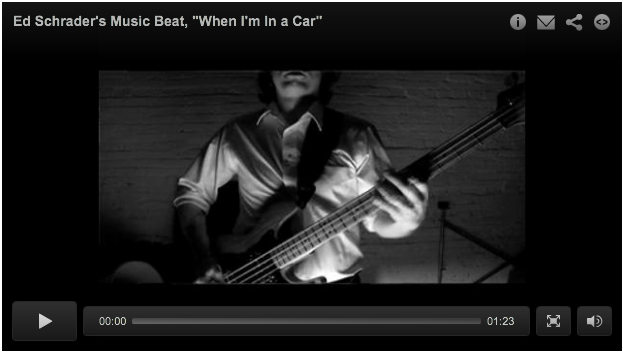 The clip, "When I'm In a Car" (featuring guest guitarist Randy Randall of No Age) is available to stream HERE. It's an urgent blast of vitriol clocking in at a blazing one-minute and 14-seconds. Pitchfork also recently posted an MP3 of the song to download/stream HERE . Having just completed a string of shows supporting their hometown synth-pop pals Future Islands, ESMB again take to the road in July for extensive North American headlining tour dates. Those shows will be announced soon. The duo recently premiered a second track from their new full length via SPIN Magazine. The hushed-yet-propulsive and eminently hummable song "My Mind Is Broken" is available to download/stream HERE. Previously better known as a partner in Dan Deacon's Wham City collective and performing solo with just voice and a floor tom, Ed Schrader has recently made inroads with ESMB by teaming up with bassist Devlin Rice and touring with Future Islands and Dan Deacon in the last year. 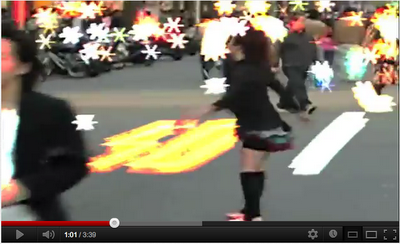 Watch a powerful 10-minute live video HERE. Check out videos of individual songs below. 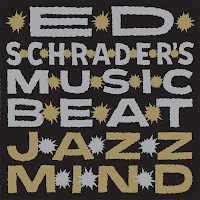 Jazz Mind opens with the snarling fury of "Sermon", driven by Schrader's high-pitched wail over early-Swans style primal drumming and blurting bass. Turning on a dime, "Gem Asylum" is a sparse and compelling lullaby of delicately chanted vocals and hypnotic bass notes reminiscent of Chairs Missing era Wire. Elsewhere, when ESMB strips down the noise on "My Mind is Broken", "Air Show" and "Can't Stop Eating Sugar", there remains an icy intensity hearkening to Joy Division. Meanwhile, "Rats" and "Gas Station Attendant" explode with a rage and raw simplicity that's rare in an era of unlimited access to audio gloss. Jazz Mind is perhaps the closest one can come to inventive, unbridled emotion. 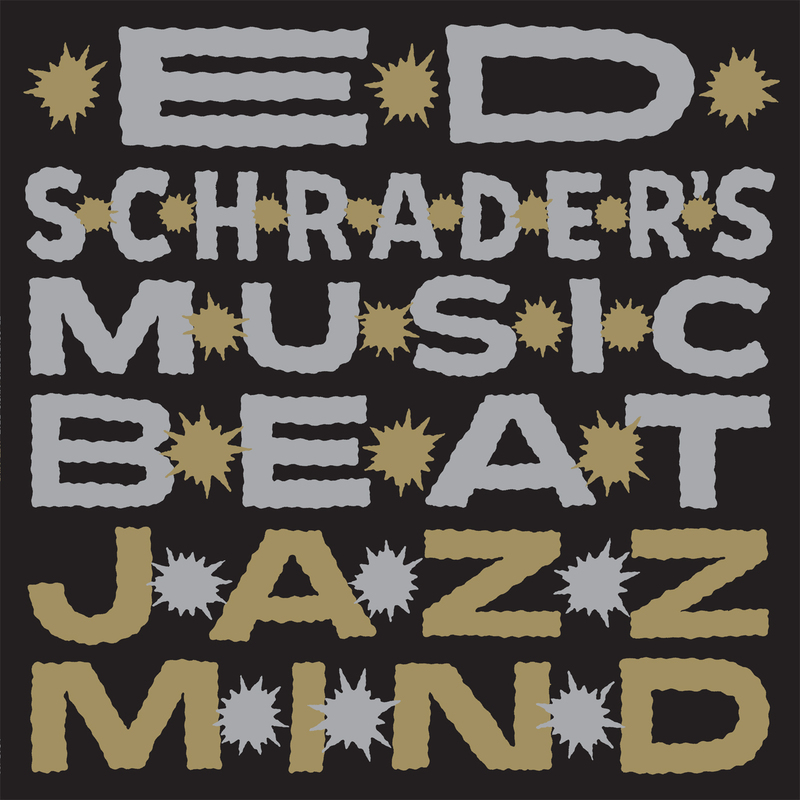 Jazz Mind is available on LP, CD and Download via Load Records, released March 20th, 2012. British trio Nedry issue remix album with reworkings by M+A, Polinski, Paper Tiger, et al. 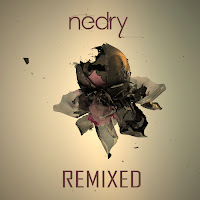 London UK's dark electronic trio Nedry release a special remix version of their sophomore album In A Dim Light today via Monotreme Records. The 12-song collection features reworkings by Rosko John, Paper Tiger, Worship, Ghosting Season, Capac, Polinski and many others. It is available at the Monotreme Webstore with a bonus free MP3 of Italian duo M+A's "Yeloww" remix. The entire album is now streaming at the band's web site, nedrymakesmusic.com. A video clip for In A Dim Light single "Violaceae"(album version) is available to stream HERE courtesy of Consequence of Sound. Also, two tracks, the eerily sinister "Float" and surrealistically soaring "Post Six" are available to stream/download HERE. British bass music clings to few modern regulations. As grey areas become inviting, zones of conflict are transformed into fertile new ground. Nedry are dictating a path that recognizes no genre, no structures, no rules. Ripping progressive dance culture out of the bedroom producers' smoke stained confines and planting it resolutely on the live stage, Matt Parker and Chris Amblin utilize MPC, laptops, guitars and synths to create a deep, thoughtful musical space. Nedry are a trio who are dissolving the distance between this cutting edge and hungry audience. Splicing a band aesthetic with the 'heads down and thumbs up' bass craft of the UK, they gift the faceless revolution of dark music an inviting visage within which we can all dwell. Maps & Atlases and These New Puritans. In A Dim Light sees the band poised for the bright lights. 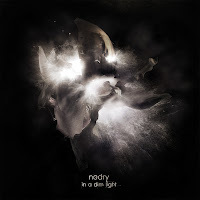 In A Dim Light is available worldwide as of March 12, 2012 (North America on March 13th) on Monotreme Records. Available on CD and digital formats and as a 180 gm vinyl edition of 500 on black (200 copies) or white (300 copies) vinyl with a free CD of the album and a free 12" x 24" poster. 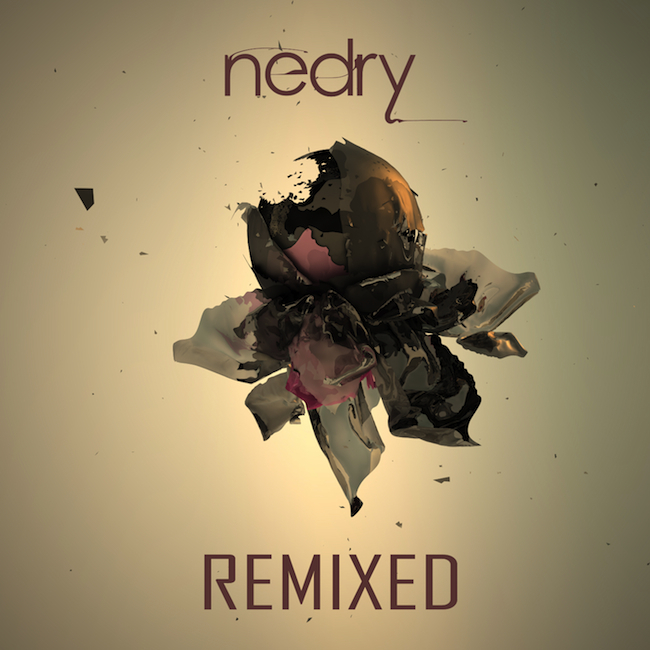 The digital-only remix release is available May 14th, 2012 worldwide via the label's web store. 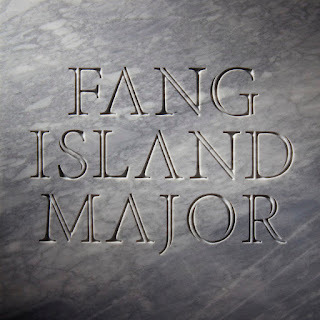 Brooklyn's beloved guitar-anthem optimists Fang Island announce their return with an album befitting its title: Major. In anticipation of the album's summer release, the band has posted a teaser video HERE. Please see cover art and full track listing below.